♥Teaching Fabulous Firsties and 2nd Grade Smarties!♥: Super Sunday Sale! What's in Your Cart? Super Sunday Sale! What's in Your Cart? 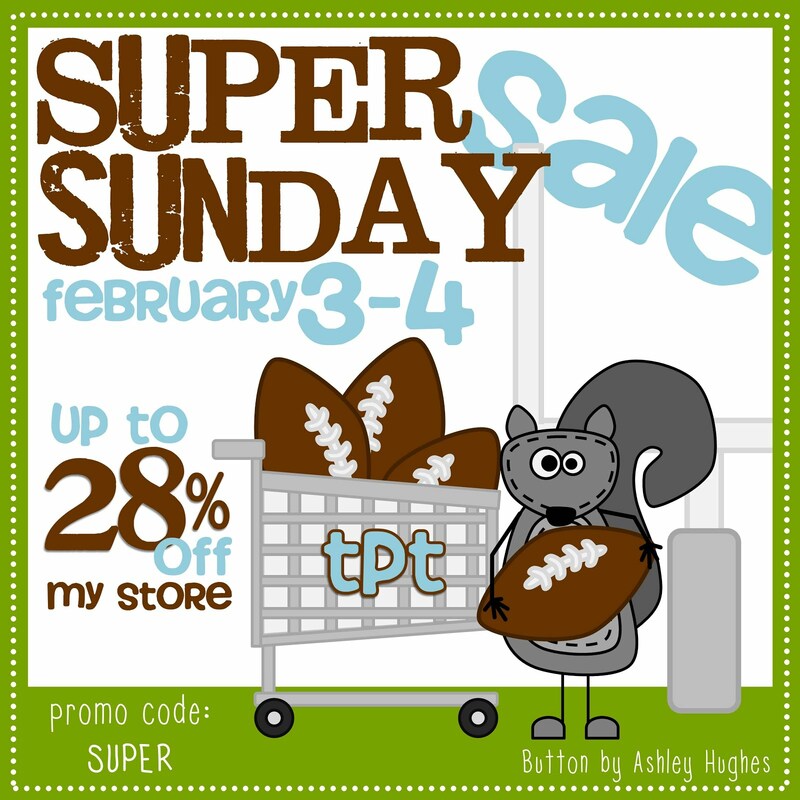 I will be taking part in Teachers Pay Teachers' Super Sunday Sale! All items in my store will be 28% off on Sunday. In case you can’t get all of your shopping done on Sunday, I’ve extended my 20% sale through Monday! So, enjoy browsing and shopping for items on your wish list! I've got quite a few items in my cart already. What is on your must-buy list? Be sure to check out my Winter Math & Literacy Activities: Quick and Easy Reproducibles & Centers which has 168 pages of resources for Your Common Core Classroom! These can be used as seatwork and/or centers. These are adorable in color or in grayscale. The centers have just enough color to be cute and not deplete your colored ink supply! You may want to check out my latest item, “Sweet Treats” Common Core Math Center & Reproducibles: Using the Relationship Between Addition & Subtraction to Solve Equations within 20 (CCSS 1.OA.6). Also, I have recently added an Associative Property of Addition Pack with reproducibles for practicing CCSS 1.OA.3 (Apply properties of operations as strategies to add and subtract). Thanks for following my store and my blog!